Ready for a gutter clean? Ace gutter cleaning Domestic and commercial gutter cleaning service. An Suffolk based company using market leading equipment to offer our customers the best service and value possible. We can clean gutters up to 40 feet high and can easily reach over conservatories and building extensions using our high reach vacuum system. Fully insured and trained our operators use no ladders in carrying out their work, we do however use full colour camera systems to ensure all work is carried out to the highest standard. 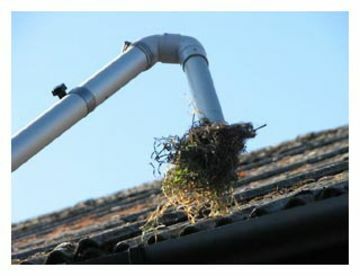 Gutter Cleaning is a very important service to carry out on your property. Gutters that have become full of dirt, leaves, moss and other debris can cause many thousands of pounds worth of preventable damage that ranges from damp walls, brickwork and mortar damage to deterioration of tiling and window installations. 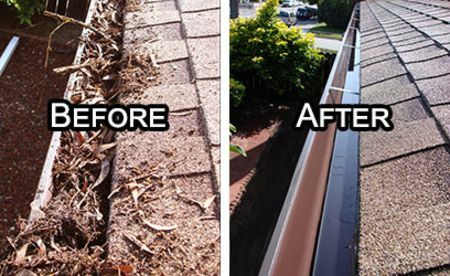 A good professional gutter cleaning service such as that whichAce Gutter Cleaning provides can prevent this damage from happening and give you valuable building maintenance. Our prices start from just £50 for a 2-3 bedroom terraced house. PRICING Pricing is largely dependent on the size of house . The quotes we give will be fixed however and will not increase if we take longer to complete a job than we expected. Often we can provide you with a fixed price from your description of the property and by using Google Street View. Professional home and office carpet cleaning for Suffolk/Norfolk/Essex . Now hard floor tile and grout cleaning including Karndean and Amtico flooring End of tenancy and Pre sale deep cleaning, serving Suffolk/Essex/Norfolk Suite or Sofa cleaning. Nasty Niffs & Pet stains! (Odour removal) Home, Office, Residential Home, Camper van, aircraft , boat carpet and upholstery cleaning with super fast drying. Please note that Ace Gutter & carpet Cleaning may not be able to honour booking requests made.